2 weeks from today when this giveaway ends many of us will be waking up to Christmas morning. Can’t wait for the faces when they see the presents under the tree. Can’t wait to eat my husband’s famous biscuits and gravy breakfast. Can’t wait to see family that I haven’t seen in months. Merry Christmas! I appreciate you! 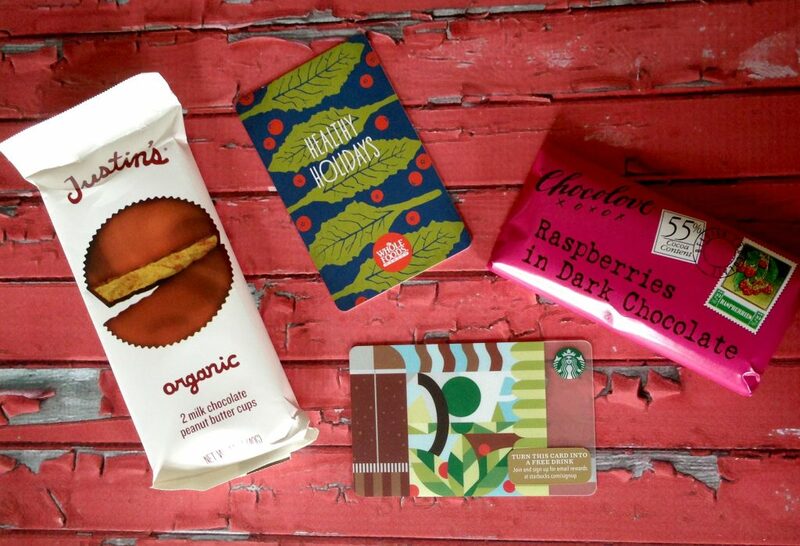 Win $10 Whole Foods & $5 Starbucks & Chocolate! The giveaway will end on Dec. 25, 2015 at midnight MT. Winners will be drawn via widget. Once a winner is drawn I will contact them and they will have 48 hours to reply before I draw a new winner. Giveaway is open to anyone in the US/Can and you must be 18 years of age or older. Giveaway not affiliated with Facebook & I release them of liability. Winner will be posted in the widget. Have a great Christmas and New Years! I hope your 2016 is amazing and fun! What a sweet giveaway. I hope you have a wonderful holiday season! Happy Holidays to you, too! We having weather warmer than usual, and lovin' it! Have a wonderful time with family and friends. Merry Christmas to you and yours too!! Hoping you have a blessed rest of the year and a new year filled with miracles and blessings beyond what you can imagine!! Merry Christmas to your family too! I was thinking those chairs on the beach on your facebook page looked pretty good right now. I hope your holiday season is full of joy! Happy Holidays to you and your family! Thanks for all of the wonderful giveaways in 2015! What nice prizes! Thank you. ...and Happy Holidays to you too! What a great giveaway! I love Whole Foods and chocolate and Starbucks! Merry Christmas! Thank you for the giveaway and have a wonderful holiday and happy new year. Happy Holidays to you as well. I love the holiday season. I love the lights, the songs, the snow, the good cheer. It is such a magical time of year. I just love it. Thank you so much for throwing this giveaway! You are so kind! Happy Holidays to you and yours! Thanks for the giveaway! I would put the chocolate in my mom's stocking as she is a huge chocolate lover! Sounds like you have a wonderful Christmas planned! I'm looking forward to it to! Thank you for the generous giveaway! Happy Holidays everyone!! And good luck! Thanks for the fun giveaway! We've had the tree for over a week and just put lights on it today! LOL. Hopefully ornaments will go up tomorrow. Better late than never. Happy Holidays to you and your family too. And great giveaway! Thanks for the great giveaway! Happy holidays to your family as well. Happy Holidays, those are yummy treats! Whole Foods gift cards are one of my favorite gifts to give (and receive!). Merry Christmas! Happy Holidays to you and yours from the Sunshine State full of beaches. Happy Holiday! Thank you for the great blog posts and giveaways this year. The weather has been so mild here in New Jersey its hard to believe its almost Christmas! Have a wonderful holiday season!!! What a nice present! I love Whole Foods and the goodies and you and your blog. Merry Christmas! You are so sweet for making Christmas so special for one of your readers. Thank you for the chance to win! Merry Christmas! Awesome giveaway and Happy Holidays to You and Your family !!! Merry Christmas!!!!! Would love the Justin PB cups! I LOVE PB cups and theirs are so yummy! Yum!!! Thank you for a great giveaway! May your holidays bring you not only happiness and peace but good will as well. Thank you for all the work you do with these contests. Happy Holidays! Thanks so much for all of your awesome giveaways, especially the Starbucks ones! Another awesome giveaway, Thank you for all your hard work. Comment as you wish ~ Happy Holidays from my family to yours! i wanna be on a beach right now! Happy Holidays! I hope you have a wonderful holiday season! Hope you have happy holidays as well! Thank you. Happy Holidays and best wishes for the New year from our family to yours too!! Wishing each of you the happiest of holidays. Mmmmm.....I love Whole Foods and Justin's! What a nice little giveaway! Thanks for the chance, and have a very Merry Christmas! Happy holidays to you! This giveaway is lovely, thanks so much for the opportunity! Merry Christmas!! I love your website!! Happy Holidays. May you all have a wonderful Christmas. I wish you and your family a wonderful and peaceful Christmas! Happy Holidays! I love Whole Foods and Starbuck. We had biscuits and sausage gravy for dinner this week. Yum! Wishing you a Haappy Holiday and a wonderful year to come. This would be a great gift for me. Happy holidays to you and yours and thank you so much for the giveaway. Happy Holidays to you and yours.thanks so very much. Have a wonderful holiday & great new year! Sending a Merry Christmas and Happy New Year to you! Happy Holidays, and thanks for all of the great giveaways!! Happy Holidays and best wishes in the New Year to you and yours! Happy holiday...hope you enjoy your time with your family and friends. Merry Christmas and Happy new Year. Thank you for the giveaway! I would like to say honey glazed carrots are my favorite. What a generous & sweet little treat, thanks. Happy Holidays to you and yours Courtney. Happy Holidays to you and your family. Yeah! I get that day off. And a happy and healthy 2016 to you and yours! Merry Christmas and Happy Holidays! I hope you have a great fun family one! What a fun giveaway! These would make great stocking stuffers! Merry Christmas! Thank you for the opportunity. Wishing you all the best for Christmas and for a fabulous new year. A great little giveaway! Happy Holidays! I love some Starbucks! Happy Holidays. Thanks so much! Merry Christmas! Have a blessed New Year! Happy Holidays from me to you! I should really be getting a move on, I got a Christmas Cookie exchange party to go to, and I'm still sitting here procrastinating...sipping coffee and checking out blogs! :) Anyway, have a great Saturday. 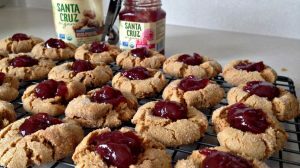 I love Santa Cruz products. Happy, healthy and NON-GMO! Happy Holidays!!! Totally cool that you live close to 2 fantastic companies. We can't get Justin's around here! From our Family to you and yours, we wish you the Merriest Christmas of all! Happy Holidays from Avon! Visit my personal Avon eStore for makeup and cosmetic deals!! I would love to help you save money in 2016! I'm so excited for Christmas! I hope your holidays are wonderful! Have a wonderful Christmas and New Year's! Thanks for the giveaway! happy holidays to your family too! Merry Christmas & may God bring you & yours many blessings in the New Year!! Merry Christmas and have a very happy and safe holiday to you and your loved ones! Happy holidays!! Thanks for the giveaway! Happy Holidays! Now I we are waiting for Lunar New Year and Valentine's Day.